Schurman Hall & Veterinary Education Center (VEC). 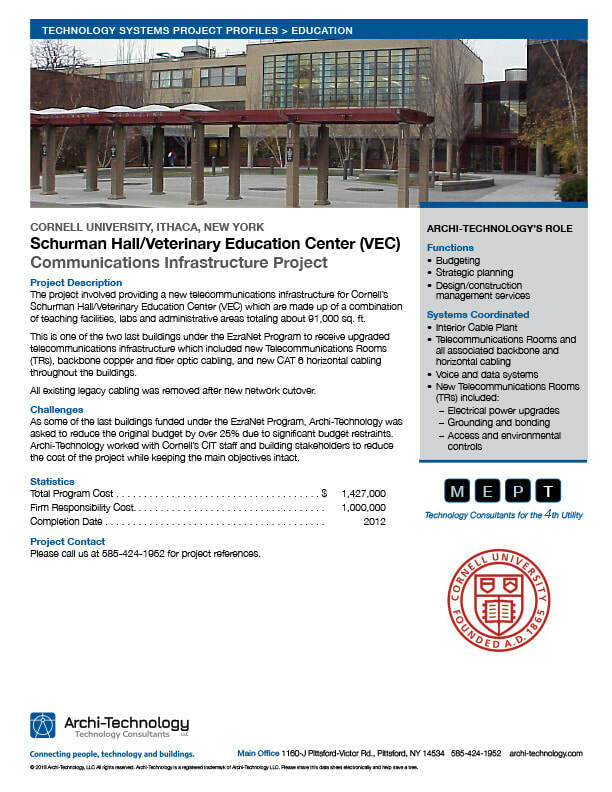 Cornell University, Ithaca NY. View PDF. 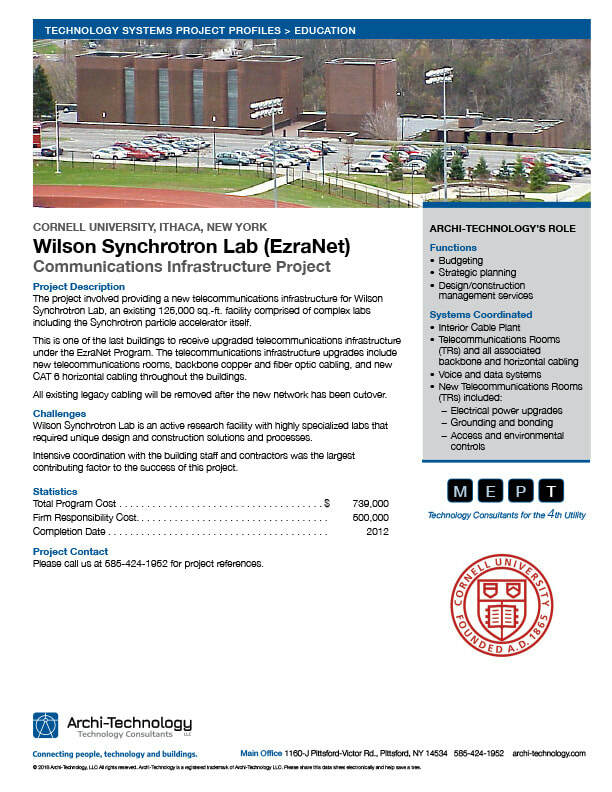 Wilson Synchrotron Lab. 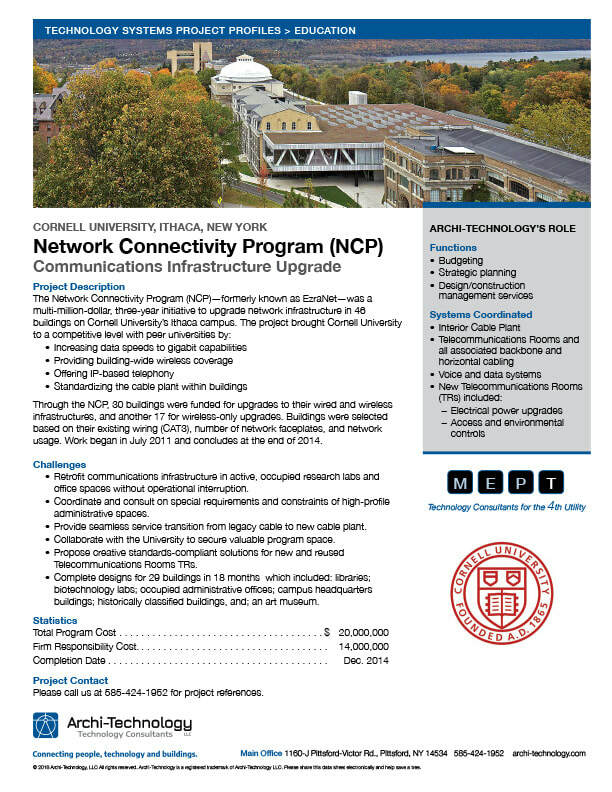 Cornell University, Ithaca NY. ​View PDF. 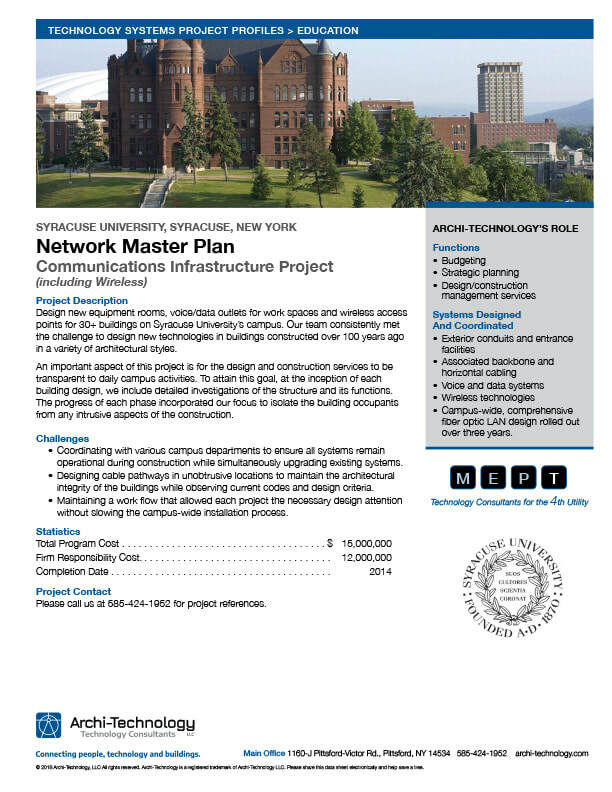 Network Master Plan. Syracuse University, Syracuse NY. View PDF. 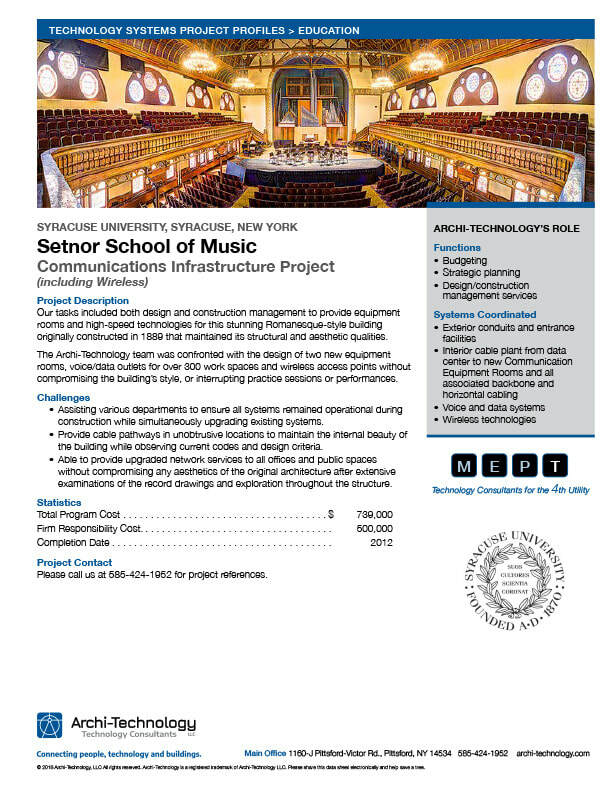 Setnor School of Music. Syracuse University, Syracuse NY. View PDF. 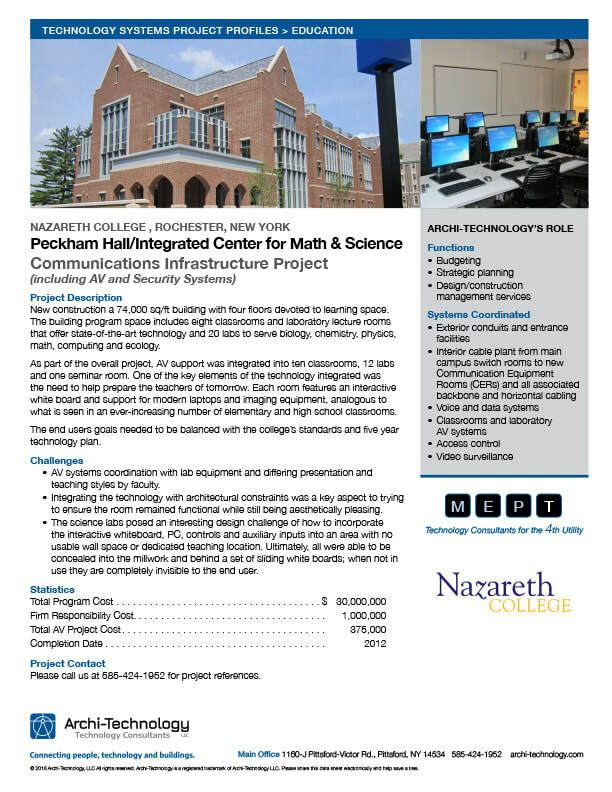 Integrated Center for Math and Science. Nazareth College, Rochester NY. View PDF. Free resources for your current or next technology project.